Notes: French sailor and hydrographer, D' Apr? 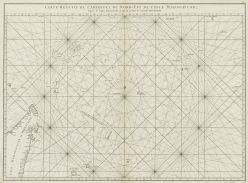 de Mannevillette (1707-1780) used new instruments to correct the latitudes measured by previous explorers. His atlas 'Le Neptune Oriental', first published in 1745, was considered a major achievement and an indispensable resource for navigators.